This is your friendly small town library – like the one you may remember from when you were a kid. We are open to everyone in our community and thanks to the support of so many in our community. We are at the corner of Walnut and Vine Streets, just one block off Main Street. We’re open 20 hours each week, with additional hours for our summer reading programs. 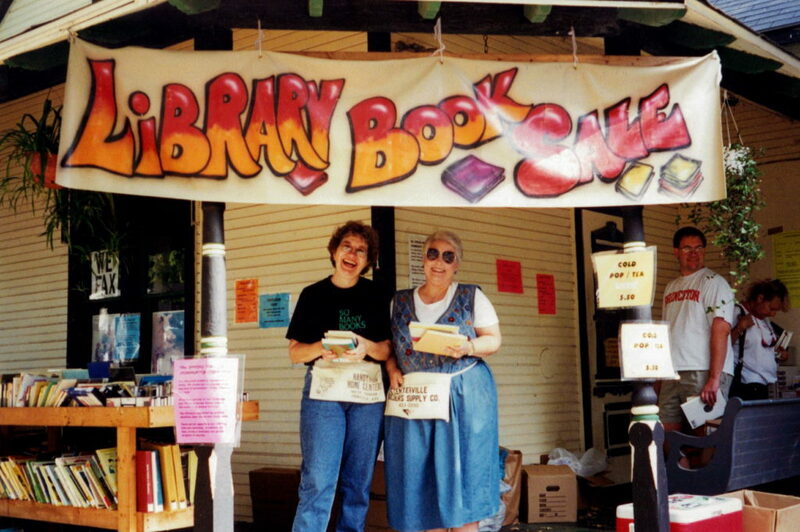 We have relied on fund raising activities and donations to operate since being dropped from the county library system 23 years ago. Our budget is small, but we strive to offer the materials that our patrons look for, carrying the latest best sellers for adults and a nice selection of children’s books. We also have videos, magazines, and Internet access. We can make copies or send and receive faxes for you. There is a community bulletin board about the latest happenings. We also have a small food pantry available any time we are open. We hope you will want to visit us often. See a quarterly update of “What’s new at the Library” in each Village Pump.